We all know that OS other than Microsoft is for productivity. Just take a case in point, today I used a data recovery software to recover data from my friend's hard disk. Well the recovery went smoothly and produced around 100 folders scattering my home folder. If it had been Windows then it would have been a pain in *** to select all those folder manually. But Windows users are habituated with it, so they wont notice that they are wasting their time in something we Linux or Mac users do in few clicks. 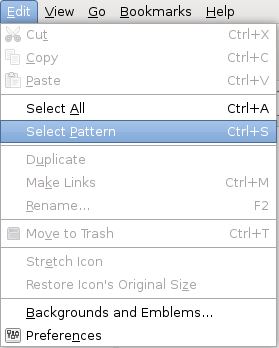 Type the pattern that you would do with ls or cmd command. I had to select all the folders that begin with recup and having extension 01,02. So I type recup* and Bingo all the recovered folders were selected. I look at its size, tar them and send it to my friend.